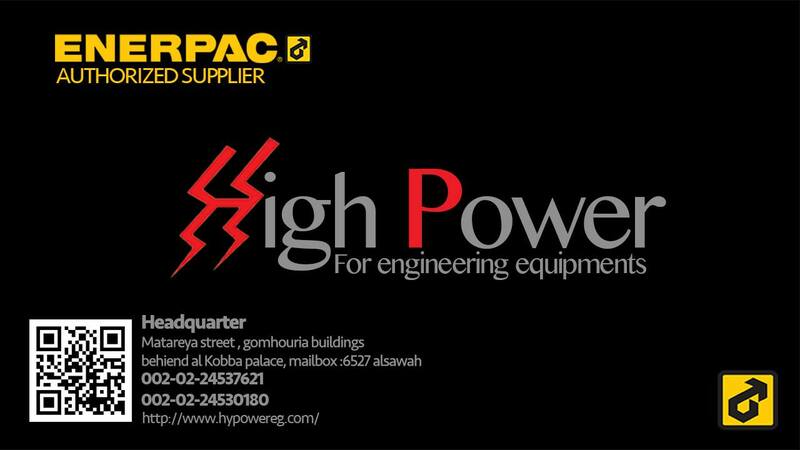 High Power is official ENERPAC distributor at Egypt market. we are leaders at high pressure hydraulic tools, controlled force products and solutions for precise positioning of heavy loads. that increase productivity, are cost effective, and make work safer and easier to perform. we are providing spare parts and maintenance for all ENERPAC products. we are having our equipment rental division to serve our customers with high pressure hydraulics for different applications. that reduces Fuel Consumption from 2% to 12% according to the application.